Kat has lived in Arizona since 2003, and began working at Best Friends in 2004. She loves her job as a veterinary technician and can't imagine doing anything else! Kat has two boston terriers named Pickles and Betelgeuse, a boxer named Jabroni and two cats. Mona has been a vital member of the Best Friends family since 2011. She is the voice you will usually hear when calling to make an appointment. She has lived in Arizona for over 25 years, after being born in Germany. Mona is a mother of two beautiful children, and two adorable dogs. She enjoys being outdoors for camping, hiking and fishing. has four cats and one dog. Joel is our newest employee here at Best Friends Animal Hospital. He has just earned his associate degree in Veterinary Technology from Mesa Community College and is a certified veterinary technician. Joel is married and in his free time enjoys spending time with his wife and his two dogs Elliott and Stevie and his cat Yoshi. Hi! My name is Alicia! I am thirteen years old, and some of you may recognize me as Dr. Brady's daughter. I pretty much grew up here at Best Friends and have been officially employed as a kennel attendant for almost a year. I love animals and we have fourteen pets at home. I think of all of the staff here at Best Friends as my extended family. Gina is an Arizona native that transplanted to Missouri for 15 years. She and her family moved home to the Chandler area about 6 years ago. When she’s not working at Best Friends Animal Hospital she’s a full time mom to the four of her seven children who still live at home. Her three older children are adults and “flew” the coop a few years ago to start their own families and their dream jobs. Weekends are full of time spent at their cabin up north in Forest Lakes hiking and fishing. When they’re down in the valley they stay busy with swimming and Sunday family dinners. Fall in Arizona means football, Gina is a diehard Kansas City Chiefs football fan! Gina has worked in the veterinary field for approximately ten years. She has three dogs: Macy is a Lab Blue Tick Mix, Olivia is a mix of unknown origin and Vick is her Lab Pitt mix. She also has a foster lionhead rabbit named Alejandro. 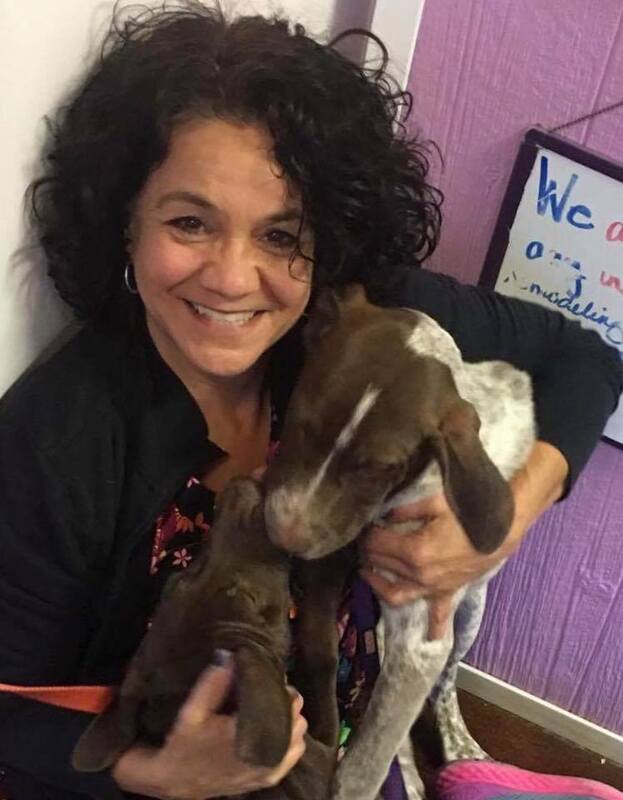 Annje graduated from Penn State University, and has 15 years experience as a veterinary receptionist and technician. 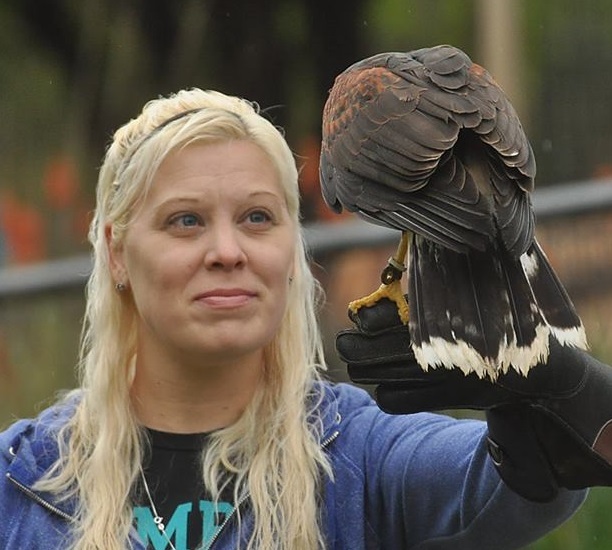 She has extensive experience working with shelter and rescue animals, and has also devoted a lot of time volunteering as a rescuer and transporter for Wild at Heart Raptor Rescue and Southwest Wildlife. Annje is also a Certified Emergency Animal Medical Technician. Annje has several rescue cats and frequently fosters cats and kittens. 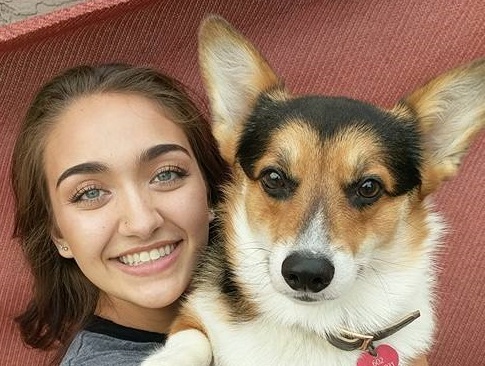 Felicia started volunteering at animal hospitals when she was just 8 years old. She has wanted to be a veterinarian since she was 3! She plans on going to school to get her veterinary technician certification and then working towards a doctorates in veterinary science. Feleicia has 3 Corgis, a Husky Pitbull mix, a St. Bernard Dalmatian mix, and three cats.